Home » Blog » Agent Success Series » 11 Million in Real Estate Sales through Happy Hours! 11 Million in Real Estate Sales through Happy Hours! Hello everybody. Thanks for joining us today. 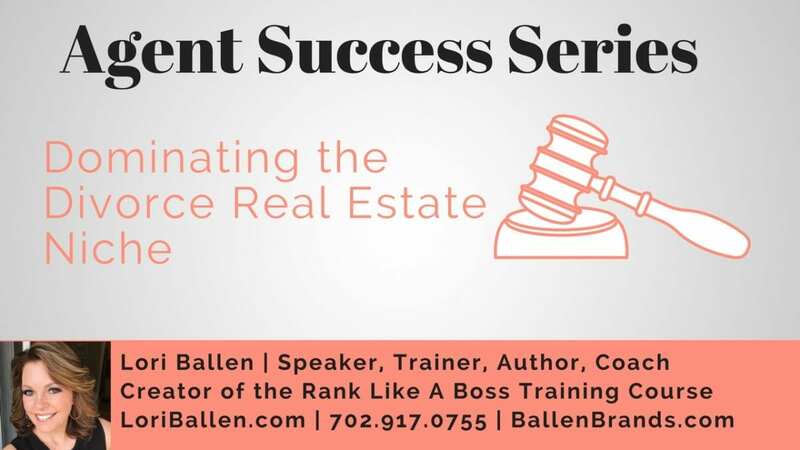 I’m Lori Ballen with the Lori Ballen team and that’s your Keller Williams Real Estate team here in Las Vegas and also with your real estate lead generation company Ballen Brands. 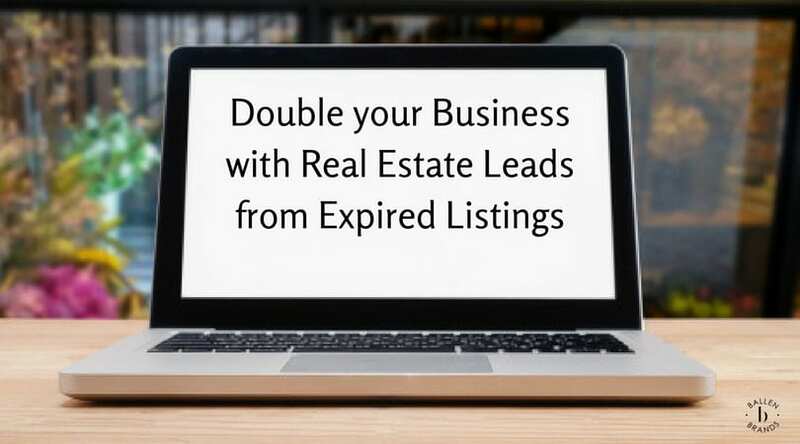 This whole series is based on celebrating and learning from real estate agents that are doing some sort of lead generation activity at a high, high level. We’re working to bring them on and share their strategies with you in a way that if this is something you like, you can go out and also do yourself. Today I have Cyndee Haydon on the call with me. Cyndee did 11 million homes last year cultivating this group for repeat business and referrals. Cyndee hosts regular Weekend happy hours inviting current and past clients. This is how she stays in touch and top of mind. Cyndee is the CEO and owner of Sandbars to Sunsets. She works with her husband Jack at Future Home Realty Inc., helping smart people understand the real estate process: clarity to help determine what is important for their lifestyle and help them make smart decisions. She is very focused on the whole buying or selling experience as well as on building relationships with clients that last long after the sale. A dynamic forward thinker, Cyndee leverages technology and social media to help people have a better experience and a better result. 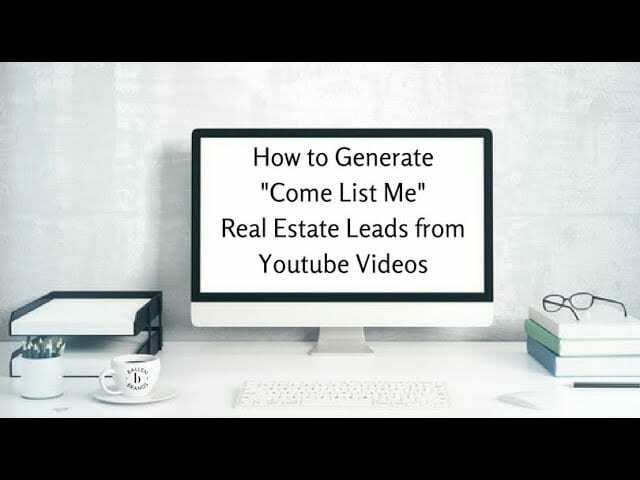 She pioneered video testimonials in the real estate industry starting in 2007 by posting her first video on YouTube which has had over 11,500 views. Cyndee has been recognized worldwide by the Swanepoel Technology Report in 2013, “Technology Transforming 2013 and Beyond” by Stefan Swanepoel (author) who stated Haydon as a top performer utilizing social media in real estate. She was noted for Individual Top 10 channels on YouTube, rated #6 Top 100 in Klout scores of individuals in real estate, #7 Twitter, in the Top 250 in real estate. Additionally, Cyndee was featured in Florida Realtor Magazine’s Tech and You Section, March 2011 “Start the Conversation ” again in October 2012 in the article “Sisterhood of the Rah Rah Realtors®” about a Successful Technology focused women’s mastermind group and in the Tampa Bay Business Journal Top Agents List 2012 – Residential Real Estate Firms ranked by total Bay Area Sales Volume for 2012 when Charles Rutenberg Realty was #5 with 1100 agents doing $648 Million in sales, Haydon was the # 1 Realtor. She is consistently in the top 2% of Pinellas Realtor Organization’s 7000+ members. Cyndee Haydon is a native Floridian who’s lived in Pinellas County for the past 26 years. She attended the University of Florida and majored in Computer Science Business and then went to work for IBM where she met her husband and partner of 31 years, Jack, Their last IBM move brought them to Tampa Bay. When IBM said their next job was in Dallas, they said NO because people work their whole lives to live here in paradise and that is how their real estate business was born. She has 2 boys, Alex who’s now a Senior at USF and Sean who is a homeschooled high school junior and a cat named Tux. Since 2005 Cyndee has helped hundreds of families buy and sell properties especially along our waterfront and is a proven leader in the Tampa Bay real estate market, consistently ranked in the Top 3%+ of all local REALTORSs®. 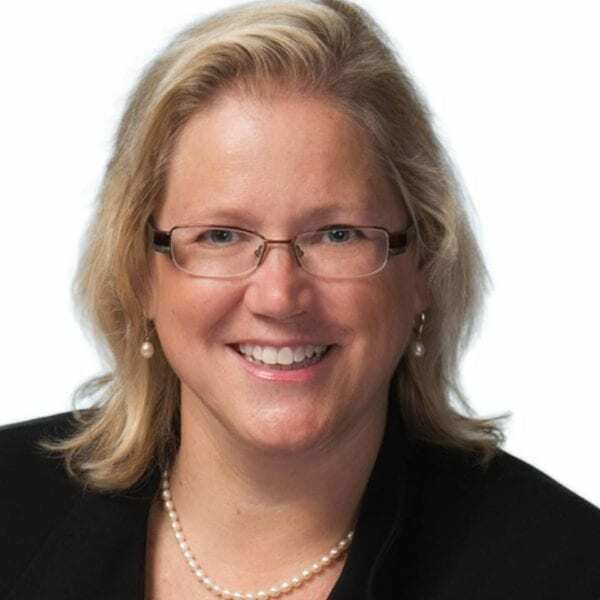 This year she was awarded the first-ever District 6 Leadership Institute Hall of Fame Award for her leadership and service to her clients, peers and her industry. Cyndee serves on both the Pinellas Realtor Organization and the Florida Realtors Board of Directors and is known for being a champion for homeowners in the area of Flood Insurance and in 2018 will Chair Florida Realtors Public Policy Insurance Breakout Group. She is also the President-Elect for Leadership Pinellas and active with the John Hopkins All Children’s’ Hospital Guild Beach Branch. A lifelong learner, Cyndee completed the elite 50-hour SEALFit Executive Academy in the Spring of 2015 and continues to take courses and stay on top of the latest in real estate, technology, and social media. Her focus is to: Learn – Master – Teach others. I want to make sure that you guys understood that we’re talking to somebody who’s been widely recognized for her lead generation and marketing skills and technology in the world of real estate. She’s definitely somebody that we should pay close, close attention to. I asked Cyndee how she got into real estate. Lori Ballen: What does your husband Jack do on the Team? Cyndee Haydon: He does a lot of the lead nurturing and some people would think more of the traditional ISA but at such a high level. He has again, incredible skills in bringing those people along and he’s also very detail and system regimented so I’m more often than not the front person with clients and relationships and again, we both have skills on both sides but we’ve just divided it up that way where he does a lot of the back end and I’ll do a lot a lot of the front end. Lori Ballen: It’s funny, I have yet to meet a husband and wife pair who both do the exact same thing. In most cases, I find one is out trying and one is more doing the computer stuff or the lead generation or cultivating leads. I love that. That’s fascinating. Then you can complement each other on your, help fill in each others’ gaps and bring your skills to the front. Cyndee Haydon: I was just going to say, and we both can back each other up but it’s as you know doing lead gen at a high level on the back end, just even having the scripts and conversations when a future buyer or seller comes in, doing it every day, you’re just really crisp. The same thing when you’re out with clients on the buyer or seller side, really stepping them through the discovery process and finding out what’s important to them. It’s really not that you can’t do both but there is something about being in that unique ability and be a little more laser focused to be more effective and efficient. Lori Ballen: Yep, my company practices the one thing motto. As much as we can, stay in our commitment to our one thing that moves the needle and then you can master it. I agree completely. You’re CEO, you run the team. All right cool. Let’s talk about this, I was intrigued when I asked people about what their real estate lead generation primary sources were and I found yours to be quite unique. I have a lot of real estate agents that do a lot through their sphere of influence, they do a lot through referrals or geographic farming but yours is so strategic and purposeful and I want to talk about that. Why don’t you go ahead tell me about this networking that you do and describe to us what it is and how it works. Cyndee Haydon: Absolutely. If I can I’ll just give you a little bit of background. A realtor friend of mine in Bonita Springs had started a group locally because they have a lot of seasonal people where in the offseason they would visit local restaurants to support them and also get to know locals. I have looked at implementing some idea like that in my area and what happened was I started out six years ago by inviting my past clients and my original idea was to make it larger and make it a networking event. What was interesting was at the time we were still, we were blessed to work with really amazing people and yet as you know, running a business for yourself, it seems like the work’s never done. I just found that I wasn’t making time to see these people I really cared about. We came up with this idea on Sundays at four, 4:30, that we would pick a local restaurant and the idea again was that we could help support local restaurants. I found that for myself I’m not sure if you’ve experienced this but as a family, we tend to go to the same places all the time. I’d be driving the beaches and people who are looking to move to our area and they would ask me about different places. Like, “Oh how is that place?” Or, “What’s the best place for this.” And I realized I could kind of give you feedback on about three places but I really wasn’t that adventurous. So I thought, well what a great way to support the local restaurants and also be the safari expert to take my tribe out and try different places. I created this idea and we actually call it Pinellas Eats. That’s the name of our county because I was smart enough to know, and you know this from websites, designing them, I wanted it to be large enough that I wouldn’t outgrow. If you have a small area, the beaches, you can go everywhere and then what? Back then I thought about that I wanted it to be large enough to be able to last. When you think about we started it six years ago, we’ve definitely had to branch out. What was interesting is, I invited my past clients and they were the ones that actually requested that we keep it to just our tribe. They said, “You know you guys work with people, you work at a level of integrity that the people you attract are people we feel safe and comfortable around.” We work with because we’re … work component to our market, we have a lot of vacation homeowners, second homeowners. Lori Ballen: You’re cutting out on us a little bit. Start, when you’re at, so you do the restaurant every Sunday and then you started to tell us what you pay for and then what they pay for but you got cut off there. Cyndee Haydon: Okay, sorry. We pay for the appetizers and then the people that come pay for their own food and drinks. Cyndee Haydon: What’s been really interesting about that is it’s amazing to see the law of reciprocity work in that people, we stay top of mind and people would think of us when they ran into people that could use our help. In the first year, compared to what we spent on doing this, we got 31 times return on that money spent. It’s a lot of fun, it’s a great way to get together and it forced Jack and I to take time out. There are a couple key points I’ll share of what it made it work that I learned along the way. One is, we named the group so over time, people feel like they’re part of something but it’s not just Cindee and Jack’s Happy Hour. Having a name like Pinellas Eats, they’ll tell their friends where they’re going and they’ll say, “Oh Pinellas Eats.” And then it’s funny their friends will say, “Well how can I go?” And they’re like, “Well buy or sell a house with Jack or Cindee or refer somebody.” It’s cool the way it’s kind of evolved into that. The second thing was that we created a secret, private Facebook group and we only invite our past clients. That was important. When we first did it, it wasn’t secret and private and so people started getting friendly and someone said, “Hey you can come visit me at my Delaware beach house.” And all of a sudden everybody on their Facebook feed that they knew was going, “I’m coming, I’m coming, I’m coming.” And that really wasn’t who they meant to invite. That was an interesting thing we learned. And then the third thing I learned is that nobody needs more pressure and stress in their life but everybody likes to be invited. One of the things that I do is whenever we pick a place, I post where we’re going to go and then I just say, “Let me know who I should save seats for.” People then will chime in, save two for me, I can’t make it this week, this and that. Again, people don’t want to feel like they let somebody down. I would always joke with people that if for some reason nobody could go then Jack and I just got a bonus date night. I think it’s really important to be aware how people feel and sometimes as realtors, we can get excited about something and then we hound people ’cause we’ve put so much into it that they disengage ’cause it’s uncomfortable. If that makes sense. Lori Ballen: Yeah, absolutely. How many, I love what you said there, by the way, nobody likes to feel that extra pressure but everybody likes to be invited. That is so absolutely true even if they don’t accept the invitation, just having the invite is incredible. In case I missed it ’cause I didn’t see it here on our pre-interview sheet either, how many years have you been doing this? Lori Ballen: Six years. Wow, it’s a long time to keep up with something. About how many people are attending on average? Cyndee Haydon: It varies by the time of year because again, we are a seasonal market and so for our clients that own vacation rentals or second homes, we’d see more in the winter than we do other times of the year. I would say on average we probably have eight to 10 people almost at everyone and then sometimes it’ll be 20, 25. Kind of the unexpected perk, I gotta tell you that happened about year three, is when Jack and I would have somebody fly into town looking at property, we would often bring them ’cause we let people know, come four o’clock on Sunday, this is where I’m going to be, you’re welcome to join us. It was a good time for us because most people don’t really want you in their house Sunday after four anyway. It was a time commitment that I knew I could keep. Now, when we bring somebody in that’s maybe visiting or in that process, all the other people will sit there at dinner sharing their stories and it’s hysterical to just, it wasn’t intended but the people are like raving fans, telling their stories and, “Oh well you should have seen, they helped us for three years before we knew which vacation condo we wanted.” And this that and the other. The power of that. The other thing is we built this core group of regulars that live here that if we had two different instances where somebody new to the group and somebody visiting, they will pick up the ambassador role and make them feel comfortable and talk with them and so it’s really just this beautiful dynamic. The one thing I want to tell you because a lot of people might be thinking about why do we do it weekly? Again there was some logic to that. Because we do have a seasonal demographic, we serve primarily people that are 45 to 60ish that are the second home, close to empty nesters. Again, I would say 85% of our people. We didn’t want people to have to think if they came to town, was this the Sunday that we have it once a month? Was this not? I don’t know if you’ve ever been anything but all of a sudden you miss a week then you miss another week and you just don’t know how to climb back in. And I’ve experienced that for myself in things. While it was a big commitment, we made the decision that we didn’t want our clients to have to think about when it was. They know they can connect with us on Sundays and all they have to ask is where. We do have some clients that are not on Facebook and literally when they’re coming to town they’ll text me, “Hey we’re coming in Sunday, where are you guys meeting?” That part has played out the way I hoped it would which is people don’t have to think and if they miss a week they know they can plug back in. It really keeps the connection closer. I do think that was strategic and I wanted to share why we do it that way and how it’s helped keep the glue together. Lori Ballen: Yeah, do you have anybody that goes every week? Cyndee Haydon: We do. We have, we probably have four couples that pretty regularly. Again, one of them owns a business that helps businesses, some from the UK to the US. Sometimes they’re out of town over there for a week or two. Another one, our client is a nurse and she scheduled all her nursing to not be on Sundays except she just got back from a three week trip to Germany so she’s had to catch up on that work schedule. We do now have a core group of people that are pretty faithful and then we have a second tier of people that are probably definitely once a month. And then we have that other group. Just like any client touch kind of program what I do find is people will all of sudden will come that haven’t been coming and all of a sudden the next thing you know, they’re asking you about thinking about selling their house or they have a friend or they’re looking at buying another property. As REALTORS® one of the things we have to always remember at least for me is, you don’t sell real estate if you don’t have conversations. For us, this was a way for us to leverage time. We still have one child at home who’s 16 and my husband’s like, “We can’t go out to dinner every night with people.” We will never have a family life. This is actually the most profitable three hours of my week. Again, this past year, just the people that were involved with us, my past clients, we did over $200,000 and for me, I had a great time doing it. I love spending time with them and so it’s a win-win. Lori Ballen: Does the eight million that you counted in last year’s sales, is that only from past client sales or are those people that you’re seeing every week sending you referrals? Cyndee Haydon: They do send referrals as well. Probably a little lower than maybe some other agents because again, imagine for a minute that you’re from Travers City Michigan, your friends may or may not be the ones that are going to looking for vacation rentals here in Florida or a second home. I do have quite a few clients that have purchased more than one property and then again, I do have clients whose friends have decided to do the same thing. The number’s increasing with time but many of them it’s more them doing second transactions or introducing us to people that they know that are renting their units or something like that that might want our help. Lori Ballen: Got it. What you’re really doing here it sounds like is lead generating for future business by cultivating relationships with existing clients instead of just doing the pop-bys and the postcards and the whatever. You’re taking it to a whole nother level by making sure that those people, that you stay top of mind always through these dinners. Cyndee Haydon: Yes. And I have to admit, when I started this, my systems for staying in touch, I wasn’t as good as I should be. Again, for me, this was a consistent time blocking that leveraged other people may have other strategies, but for me, it was those three hours accomplished a lot of good for me and so it helped fill that void where probably a more structured agent even more, but for me it was a great way to block that time, spend that time and really have those relationships. What was really crazy Lori is, imagine that you go and you buy three to five appetizers, we’re talking 10 bucks a piece, we’re talking a major deal, and it’s funny how the people that have come, they have such overwhelming gratitude that it really surprised me. I didn’t expect that. They’re like, well you’re always doing this. You’re always. One other tip I want to share with your listeners is the thing that also makes this work for me is it’s scalable. When I pick a restaurant and put it out there, all I have to do is make a reservation. Imagine if you were hosting this in your own house and you don’t know til the day before do you have three people? Do have 23 people? It can really be stressful as an agent and I didn’t want that stress. I got enough stress. I wanted to know that I could call a restaurant and be like, eight chairs, 20 chairs. But I think it’s important because as you know if you set yourself up for a system that’s not scalable, your success can overwhelm you. Your success can be your failure point. For me, the fact that I didn’t have to clean my house. The fact that I didn’t have to do all those things was important. That’s a good tip for people, thinking about it is I’ve suggested to other agents they could certainly do a Wind Down Wednesday and do a happy hour somewhere. They could do breakfast or whatever works for your demographic. If I still had little kids it might be more Mommy and Me oriented stuff. The reality is where we are now, pretty close to empty nesters like our clients, this works best. Also being authentic to who you are and where you are will make it be more fun and less stress in my experience. Lori Ballen: Yeah, sounds like you’ve chosen something that’s quite convenient. You’re not having to do a lot of prep. You’re not having to do a lot of clean up and you said that you’re doing the invites by Facebook so you’re going to one place to invite everybody right? Lori Ballen: So that’s really cool. Then you just show up and you don’t have to have all that stress and they’re building these really, nothing compares, there’s no postcard, there’s no let me pop by and bring you a pumpkin, none of that stuff compares to the relationships that you’ve built and continue to build. I would imagine that those are clients for life and you’re going to stay in touch with them much, much longer than … How many times have the rest of us, me included, had somebody that we sold a house to years ago, they bought a house and we represented the buyer and several years later they sell that house with another agent. Not because we didn’t do an excellent job but because somewhere we dropped the ball in letting them know where we were or we moved brokerages or whatever and we never really built a relationship like you were saying. Cyndee Haydon: And the funny part, exactly what you were saying is, we’ve increased the number of listings we’ve taken because quite a few of those people have sold in bought something else and we were right there. So yeah, that is. I think again, it’s one of those things where I have always taken the same view in any form of lead gen that I believe when I make an investment or a decision I look for that payoff to start 12 or 18 months later, that’s just my mindset. I know that time is my friend and if we’re doing the right things. This is one of those that really did catch me off guard because I didn’t expect to see some income from it in the beginning but I really didn’t expect it to keep growing. This year it was like 48 times return on my investment. If you broke it in hours, I’m technically making a $1,000 an hour. That’s pretty sweet lead gen for me. And it’s doing something I enjoy. All of that for me makes it a great way to have relationships and build my business. Lori Ballen: Well the best, the most stable businesses and the ones that tend to return , have the highest return, most profitable, are the ones that are cultivating their sphere, their past clients and building strong relationships around those so they’re not having to spend as much money on the cold leads because you’re cultivating those. It’s a really smart way to do business. Anybody that I know that’s doing a big business in repeat clients and client referrals have a good profitability point. Curious, when you’re going to these new places, are you doing any kind of, are you repurposing that content by writing a blog about the restaurant or doing any kind of positive review or anything like that? Cyndee Haydon: I started it in the beginning and then kind of went by the wayside. It probably would make a lot of sense. I used to in the beginning when we started just to get everybody excited in the group, I would take videos and I would do things like that, take photos and post them in the private Facebook group and on YouTube just to, I did do that in the beginning and really I should go back to it for a whole host of reasons as Lori Ballen would say. Cyndee Haydon: I’m already there and I’m already building that goodwill and helping to do that would be smart. And so that’s probably a great idea to incorporate. The one other thing for people that are thinking about doing it because Sunday may be a day they can’t do stuff or dinner’s out isn’t in their wheelhouse, I’ve seen people be successful with a very similar concept. It could be that you belong to a running club and five AM every day you get with the running club and you just plug in. I think what I’ve learned from blogging is that your authentic voice and your authentic self-comes through and the people that that resonates with are going to be the best clients and connections. I’m a big believer that whatever it is you’re passionate about and you want to share or do, that’s what you should do. For me if it was game night at my house and I’d have the stress of cleaning my house every week, I just wouldn’t keep up because I would be stressed. Those things, there are so many people, one of the agents here in our market with her running group, she’s built a huge business and it’s just every morning they run and over time, people think, they notice. Oh somebody just needed help with something and they’ll think of you. I just want to make sure to people, some people might say, “I don’t have the budget.” Whatever that is, just realize, just like blogging, it’s whatever is authentic to you, sharing that with other people. Because if you look in your life, you probably tend to attract people like yourself if you’re in a relationship business. If you’re a heads down numbers cranking phone dialing, you may or may not find that or you may decide to cultivate a subset of that. At the end of the day, for anybody that has a sphere business, usually, the connections are around commonalities. They’re just so that’s my thought on that that I would just share when you’re thinking. It doesn’t have to be this, it could be anyone off of this. Lori Ballen: Yeah, I would think this would be a cool draw to. Restaurants and places to eat are some of the top searched keywords in any market. Having a library of all these great restaurants that you go to and then possibly even calling it Pinellas Eats and then you could even mention your little group, your Sunday group and then if anybody said, “How do I get involved in that?” Exactly, you buy or sell a house and have a call to action on there. I could see agents who are new that are listening to this that may not have a lot of past clients to start this with could actually start something new and invite neighbors. I just saw one this morning on Nextdoor, the social networking group, kind of watching that to see what it does. And somebody here in our neighborhood started this Summerland Women’s Club, I guess she’s calling it. And she mentions it’s open to all ages. The only requirement is that you live in Summerland. She’s doing this same thing where she’s just kind of popping up in there. Okay, this week we’re at such and such. She’s using that meetup thing to do hers. I’m looking at it like maybe I should pop by there sometime and check it out and actually meet people but I tend to get too nervous. I thought, what a great idea. All you have to do is like you said, find something you have in common and give people a reason to get together and before you know it you’re building your own sphere of influence but for a new agent, it might take a little while. They may have to do that. And I noticed here on your advice to give somebody, you mentioned consistency. I would imagine that even though it could take some time to build something like this up, the consistency is the key isn’t it? Cyndee Haydon: Absolutely. I think the reason for me that I’m looking back on it why it’s important is when you first start something, I think realtors are notorious for being known for some marketing program. I don’t think people want to feel like a marketing program. I think at the beginning people are sort of if they come, they’re sort of watching you like, what’s the purpose? Are you really going to, what is it? Then when they relax and realize you’re just really hosting them instead of my house but at a restaurant, they start the relax and enjoy themselves. But I think that what I’ve seen is time works in my favor to where people say, “This is authentic. She really cares about us. She really knows our kids, our family, our lives. We’ve been doing this forever.” They don’t wonder, oh well that was just program de jour to try to find some business. I think that’s why for me that I think that people, the more opportunities come with time and it’s just yes you’re seeing people more but also they trust your internal motivation. Because I think people do think that realtors are always marketing some. We do. We go out, we wake up every day unemployed and we go and hope we find somebody to help. Reality is that is what we do. The question is, how do we do it? And if we do it in a way that we care about people and just naturally comes up or we’re trying to work them. There is a distinction. Lori Ballen: Yeah, fantastic. I’m really impressed by what you do and I think the consistency and how long you’ve been doing this year over year is absolutely incredible ’cause it’s so easy to start something and stop it. I think my key takeaway, I love that you said is, “You don’t sell real estate is you don’t have conversations.” And I think that’s a really important takeaway. Is there any last minute advice you’d give to anybody who wants to model something and do like you? Cyndee Haydon: I would just say focus on authentically being present, not the numbers. When we first started I had a girlfriend that kind of said okay, we went on video and just kind of got people excited about what we were going to do to come out. If you have four people and four people turns to six or it doesn’t. Those four people, those conversations, it’ll build organically. I think sometimes we get so focused on large and really we’ve all heard it but the riches is in the niches are in the smaller numbers where you really have a relationship and so just relax and be yourself and get to know people and see how that goes. I liked your idea, you could certainly plug in people whether it was vendors or other people you wanted to know better, to know their families. There’s a lot of ways you could make it people that you’d like to know better in the early stages over time. Again, you can tweak it however it works for you. The bottom line is like you said, if you’re spending a time and you’re relaxed and enjoying other people, it’s probably going to ultimately be good for your business. If you’re uncomfortable and you hate doing it, people will sense that too and they’re going to quit showing up to have you have a burden. It’s seriously, be honest. Be honest with what you like and don’t do what you think just ’cause I did. Just ’cause I can’t cook and I have to make reservations at a restaurant, that doesn’t mean you have to. Do what works for you and you will attract the people that are attracted to the same, to you. The piece of that, like I said, blogging has taught me that and it’s such a piece because I don’t worry about what I look like because are going to see you in person. It’s the whole video thing. I don’t worry about trying to be someone I’m not because people are going to get to know us. Each of us is going to resonate with people that are going to enjoy working with us. That’s what I’ve learned. Lori Ballen: We attract who we are. That’s absolutely true. I appreciate your time with me today Cyndee. Cyndee Haydon: Thanks for having me. Lori Ballen: I’m sure our listeners are going to get a lot out of this. Again Cyndee is in Pinellas County and it’s Cyndee Haydon, Sandbars to Sunsets, Clearwater Beach to St. Pete, I believe you called it. And Tampa Bay area. She would appreciate your referrals.